Join us! 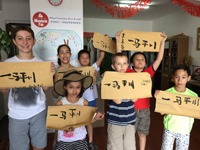 Learning Chinese can be fun! 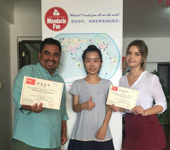 XIAMEN MANDARIN FUN SCHOOL is officially a professional school, which teaches Chinese languages all year round. 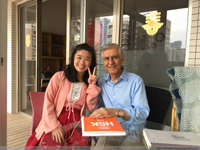 Located on the South East Coast of China, a beautiful, tropical and pleasant, modern city, we welcome all international students who have the desire to learn Chinese through a cultural experience. We offer an effective learning environment where students get results. Our goal is to meet your challenges and turn them into success. 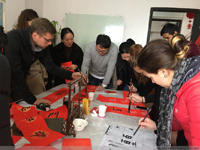 What sets us apart from other Chinese schools is our strict control while recruiting our teachers, all our teachers must have at least bachelor degree on Teaching Chinese as Second Language, and most of our teachers are working full time in our school which enables best teaching quality for our students. Our success speaks for itself. Since 2008, we’ve helped over two thousand students reaching their goals. More than 98% of our students sign for additional classes. 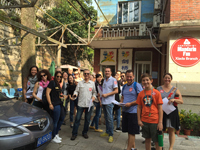 Should this be your desire to experience Xiamen Mandarin Fun School, join us now!